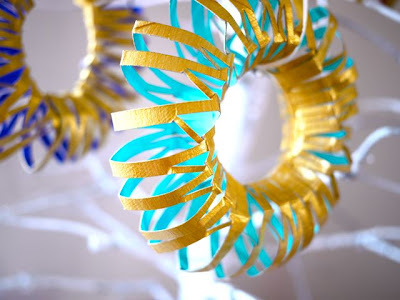 So here are my favourite ornament tutorials from all around! This one would be great to make with kids! And I love the rhinestone eye! My friend pointed me to this blog and I found this super cute snowman, which would make an adorable ornament! Also check out the pom pom owl tutorial! These mushrooms come from the book Fa la la la Felt, the publisher is sharing a tutorial from the book for these lovely mushrooms! Aren’t they the cutest? I need them on my tree. … made of shrink plastic! An ornament for the neck! My neck! And so as I typed this I hurried to my craft corner to check if I still had shrink plastic — and to my relief there is still half a sheet! YES! This, my friend, is also at the top of my project list. 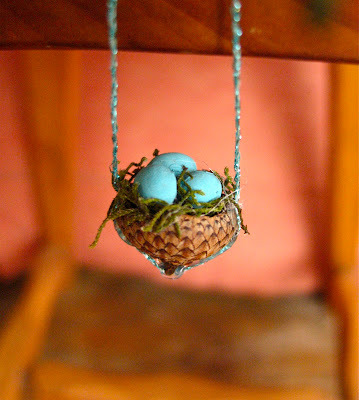 Another ornament involving one of my favourite things — acorns! An acorn cap nest, and the eggs are painted soy beans! :D My tree also needs this. 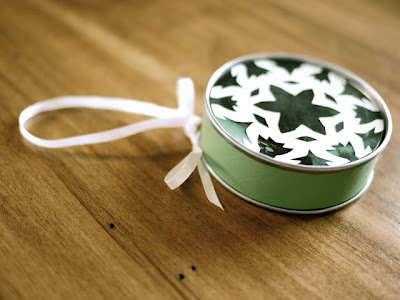 Who would ever be able to tell that this elegant ornament was once a juice can? 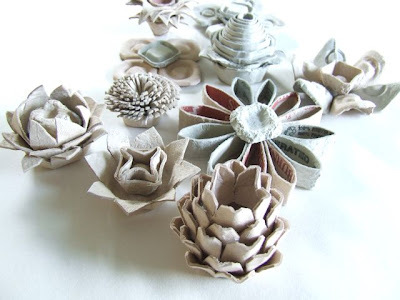 And check out these wreath ornaments made from the humble loo roll! AND the egg carton flowers! The pine cone‐like one in the front row is simply gorgeous, it will make an excellent ornament! 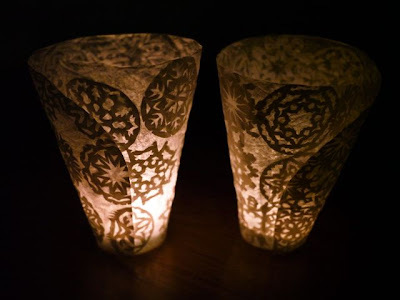 And look at these beautiful winter lanterns! So, clearly I’m completely sidetracked at this point (reading craft blogs is like going down a rabbit hole!) and this post is no longer just about ornaments. But now I have enough on my project list to last until next Christmas :D And I hope you find inspirations in the tutorials I gathered here as well!